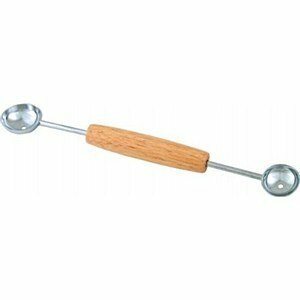 This dual ended Melon Baller by Fox Run has a different size scoop on each end to make large and small melon balls. It’s the perfect tool for making melon balls. 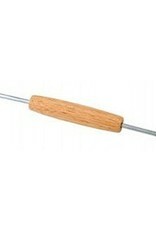 It has a wooden handle and is made from stainless steel. Great for making decorative fruit displays and fruit baskets using watermelons, cantaloupes and honeydew.